Nickname(s): The radiant " الباهية "
Oran ( Arabic: وهران) is a major ceety on the northwastren Mediterranean coast o Algerie. 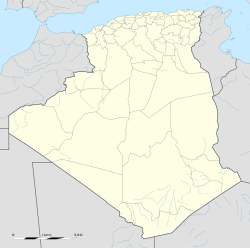 It is the caipital o the Oran Province (wilaya). The ceety haes a population o 674,273 (2009), while the metropolitan aurie haes a population o approximately 1 million, makin it the seicont lairgest ceety in Algerie. Oran is a major port, an syne the 1960s haes been the commercial, industrial, an educational centre o wastren Algerie. Wikimedia Commons haes media relatit tae Oran.